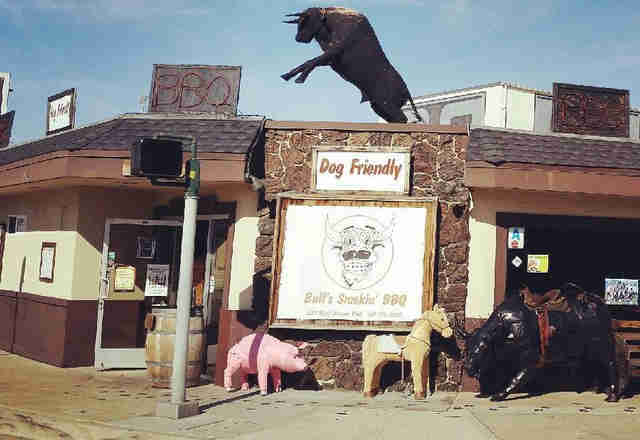 Phil’s BBQ has been a San Diego staple since 1998 and has been growing ever since, becoming maybe the best-known BBQ stop in the city. Its menu hasn’t changed in that near two decades, but why mess with winning recipes? 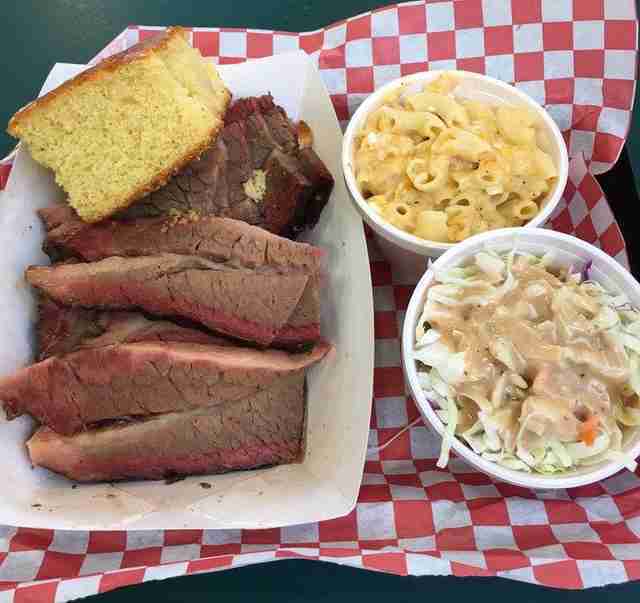 The El Toro Sandwich has been nationally recognized -- the belly-sliced tri tip is sliced deli thin and mesquite-smoked for flavor, sandwiched between a butter-soft bun with coleslaw and BBQ sauce, of which only two people in the world know the top secret recipe. Just prepare for a wait: the line of people waiting to get a taste of the sweet barbecue sauce and grilled meats often stretches outside. That Boy Good is indeed very good. Executive Chef Mark Millwood’s experience in Mississippi and Louisiana shows through in the Southern-style BBQ where everything is made from scratch. The moment you step through the swinging doors, you’re met with a wafting smoky scent, mingling with the wood paneling. 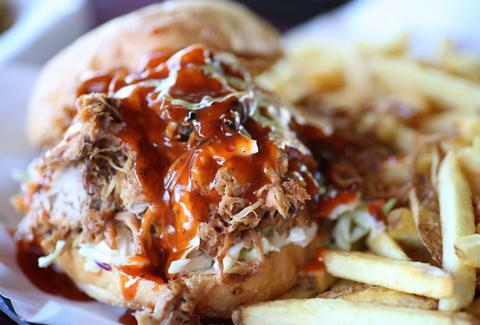 The dirty fries, topped with coleslaw, mac 'n' cheese sauce, pulled pork, and diced jalapeños, are a favorite, and the tangy barbecue sauce gets its sweetness from the not-so secret ingredient of Coca-Cola. All of the meats at Coop’s are “Texas-true and Texas-approved,” thanks to owner Brad Cooper’s family recipe. The Lemon Grove barbecue joint is insanely popular with locals and national media, and for good reason. The meats are slow-cooked over a fire made with mesquite and oak wood. Barbecue sauce is optional -- it's not at all required to enjoy the delectable brisket or jerk chicken. Seating is limited, so you won't get any suspicious side eyes if you take it to-go (it's pretty common). Iron Pig Alehouse makes nearly everything in-house, from the sides, like the Southern greens and smoked beans, all the way down to the whipped cream for the Key lime pie. Chef Rick Daniels hails from El Paso, Texas, and his roots are evident in the dishes, like the Sliced Brisket Sammie served on the signature Texas toast, or the hickory-smoked chicken wings that are brined, smoked for two and a half hours, and finally flash fried. The wings come with a side of sauce -- the flavor intake is in your court. The Smok’d Hog specializes in regional American BBQ, meaning its rotating menu showcases something from every part of the country. 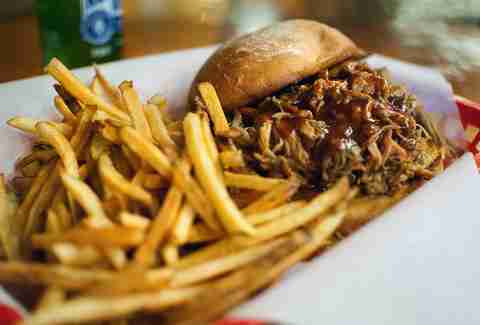 The KC Pulled Pork Sandwich (pictured) is a favorite, featuring pulled pork that has been smoked all day. 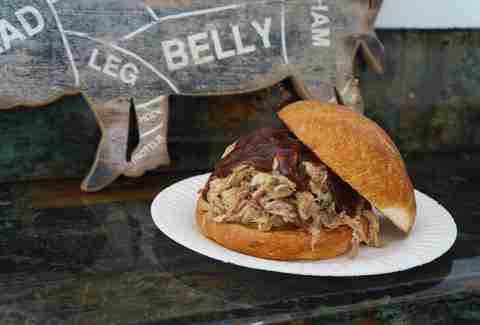 Other specialties include the Carolina Gold Pulled Pork Sandwich, pulled pork belly tacos, and ribs on the weekend, and the hog sauce (made in-house, along with all the other sauces) mixes the best of Kansas- and Carolina-style barbecue. Grand Ole BBQ Y Asado has only been open since October, but it’s already a heavy hitter in the barbecue scene -- people line up an hour before dinner opens on the weekends. 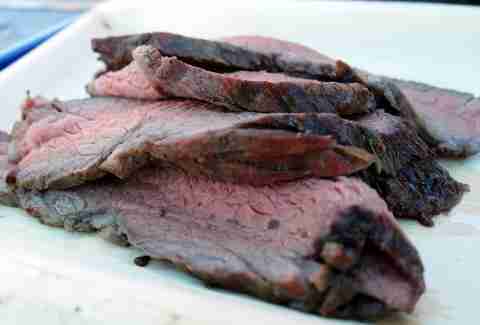 The brisket and short ribs are both cooked for 14 hours, starting at 4am every day, and are only available at dinner. On Sundays, the Argentine grill features non-traditional specialties like blood sausage and chorizo. All the meat is organic, and BYOB means you won’t break the bank on booze. Plus, the meats are cooked in the same parchment paper used by one of the most popular BBQ spots in the nation, Franklin Barbecue, although the line is much shorter here in San Diego. Score one for the home team. Home to two Ole Hickory-style smokers, Cali Comfort specializes in Kansas City-style barbecue, which means light or no sauce on most dishes and lightly basted meats with high quality dry rubs. The meats are cooked low and slow, and there are a number of sauces to try, if you want to deface KC 'cue like that, including the jalapeño sauce -- a nod to San Diego’s culinary scene. Bull’s Smokin’ BBQ is all about the experience. The beef ribs can’t be classified -- they just have to be tasted. 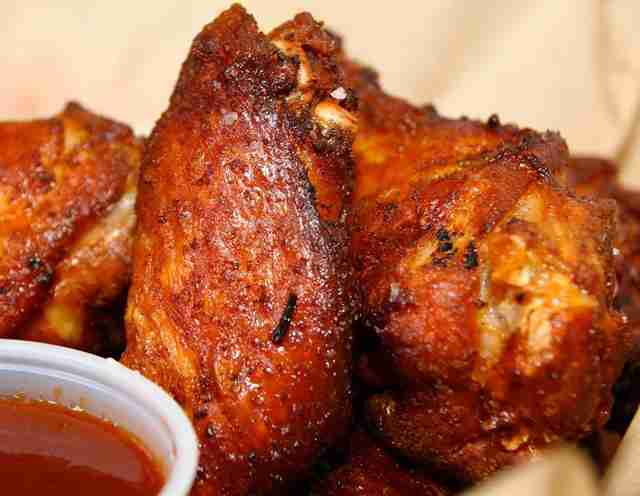 They're coated in a dry rub, smoked all day, and accompanied with a side of house-made barbecue sauce. One rib comes with two portions of meat and the extra bone is removed, cleaned, and literally thrown to the dogs. The outdoor patio is super dog-friendly and full of happy pooches snacking on bones... just like their owners. Ellen Wright is a freelancer at Thrillist whose napkin-use during the making of this article would not be smiled upon by Captain Planet. Follow her on Twitter: @PacificPolished.